As Unique as You Are: Crafted from sustainable bamboo and featuring custom-designed engravings on each arm, these sunglasses are distinctive artwork you can wear. 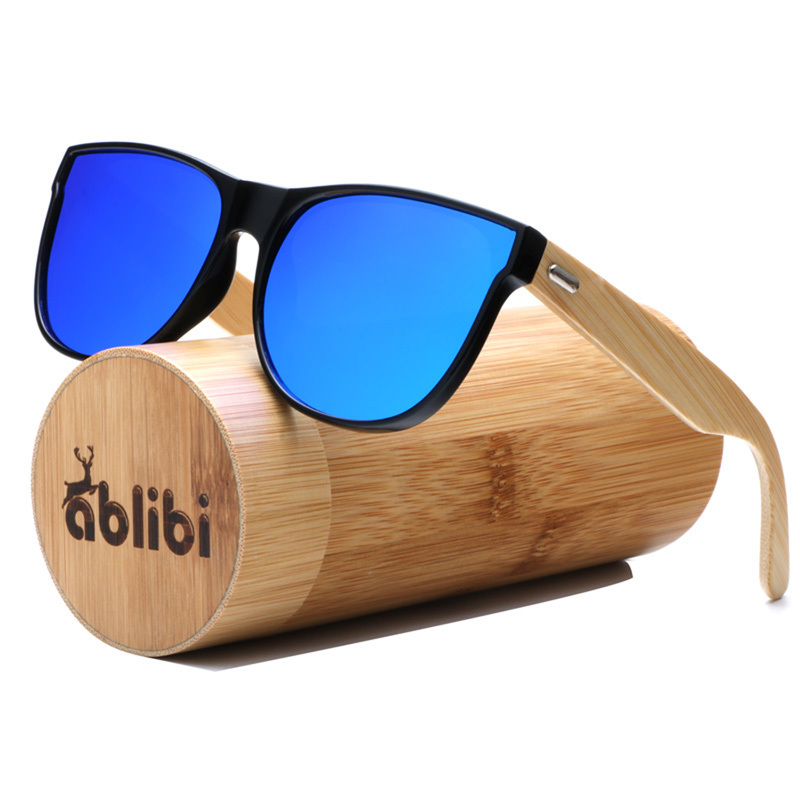 Fits Any Face Shape: With their flexible spring hinges, your ABLIBI Bamboo Wood Sunglasses offer a comfortable fit for everyone. No more worries over losing your glasses thanks to a too-loose fit. Ultra Lightweight: Water sports are no match for these sunglasses. These lightweight bamboo frames not only look & feel great, but they float, too! No need to dive overboard to rescue your sunglasses. Goodbye, Blinding Glare: With UV400 polarization, your ABLIBI sunglasses are ideal for wearing on the water, at the beach, or even on the slopes. Plus, they protect your eyes from both UVA and UVB light. Microfiber Bag Protects Your Lenses: Keep your sunglasses scratch free thanks to the included microfiber storage bag with drawstring closure. – Not only will you look good, Wood sunglasses are a serious conversation starter! – Protect your eyes in style! out customers love the fit, feel and knowing they are protecting their eyes. – The perfect unique gift!